Chicago has long since established itself as one of the world’s finest cities, and it deserves every bit of this recognition. From its deep-dish pizza and dining hotspots to museums and sports teams, The Windy City easily holds its own amongst other great metropolises the world over. However, one thing many guests do not realize when visiting Chicago, is that it is also home to some of the country’s best beaches. Twenty-four individual beaches line the twenty-eight miles of Chicago’s Lake Michigan shoreline. Best utilized during the warmer months in the Midwest these beaches add an immeasurable amount of fun, recreation, and urban escape from the hustle and bustle of one of the country’s largest urban areas. While staying with us at the University of Chicago La Quinta Inn and Suites, you will be a quick two miles from one of the city’s finest beaches. 57th Street Beach is a hub of excitement and activity during the summer months and is one place you should definitely have on your list to visit during your stay in The Windy City. Frederick Law Olmsted and Calvert Vaux, masterminds behind New York City’s Central Park, are also largely responsible for the creation of Chicago’s Jackson Park and the early foundation of what would become the 57th Street Beach back in 1871. Since its early days, the area has been continuously improved upon and cleaned up to the point we are at today – a beautiful swimming beach right in the heart of Chicago. Promontory Point just up the coast from the 57th Street Beach is a beautiful peninsula offering great views of the shoreline, skyline, and out into Lake Michigan. In the summer months, the beach and nearby green spaces are the perfect place to observe weekly Navy Pier Fireworks shows and, of course, the Fourth of July celebrations as well. Like any of the best beaches in the world, the 57th Street Beach and surrounding parks are home to playing fields, playgrounds, and concession stands – creating the perfect opportunity to spend a simple afternoon in a beautiful spot. We’ll admit it. Nobody comes to Chicago for the beaches. However, it is one heavily undersold perk that this city has to offer both locals and visitors alike. 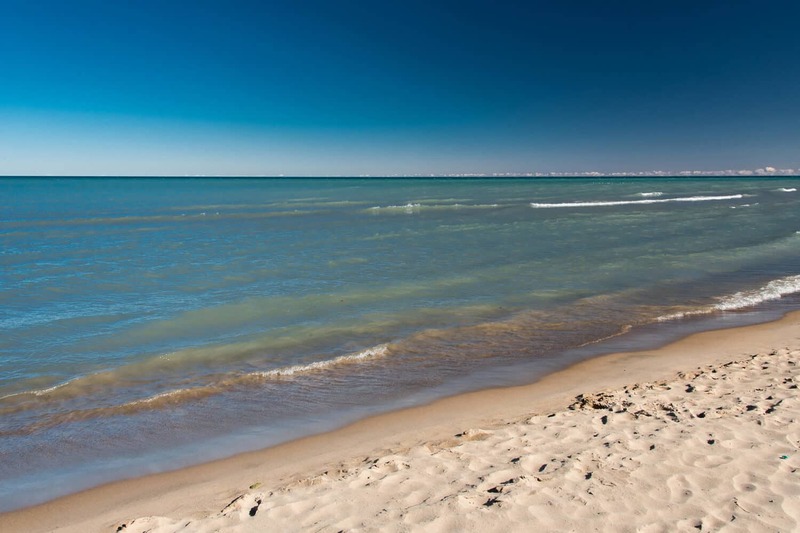 If you happen to be staying with the University of Chicago La Quinta Inn and Suites during the warmer months of the year, be sure to check in with our front desk for conditions regarding current water-quality in Lake Michigan and the status of our city’s beaches. If everything looks good, there is no better way to spend an afternoon in The Windy City than by soaking up the sun on the shores of beautiful Lake Michigan. 57th Street Beach only a couple of miles away from your doorstep, making for the perfect destination for an afternoon stroll while you explore one of the greatest city’s on the planet.